Private equity transactions in Colombia usually involve buyouts (cash-outs) or recapitalisations (cash-ins), or a combination of both, with the objective of turning the relevant portfolio company around. Turnarounds are usually sought by both providing capital for growth and instilling best management and governance practices in the relevant target portfolio companies (which are typically family-owned, informally managed and with limited access to financing) aimed at unlocking the target’s growth potential. It is not uncommon for the original owners to retain a partial interest in the target portfolio company, so private equity transactions in Colombia may also involve shareholders’ agreements regulating the governance of the company and the rights and obligations of the parties with respect to their shares. Going-private transactions are extremely rare, because the typical Colombian target portfolio company is not listed on the stock exchange. In fact, mergers and acquisitions activity in Colombia is dominated by private transactions, as only a handful of transactions involve listed companies. New tax rules in effect as of 1 January 2019 will probably result in a shift from indirect acquisitions (which were the norm because they were not taxed in Colombia) to direct acquisitions. Indirect acquisitions are now taxed in Colombia, but in an indirect acquisition the purchaser may not be able to use its purchase price as the tax basis in a future sale (its tax basis would be the tax basis that the purchased foreign vehicle has in the asset in Colombia), whereas in a direct sale the full purchase price would qualify as the tax basis. The typical Colombian target portfolio company is privately held, so corporate governance rules applicable to these companies are significantly less stringent than those applicable to public (ie, listed) companies. When the target is a listed company (which, as mentioned above, is the exception) there are incentives to taking it private prior to the acquisition (delisting is sometimes a condition precedent to the acquisition) in order to avoid a mandatory public tender offer, or soon after the acquisition, in order to avoid corporate governance rules (which require a minimum number of independent directors) or special disclosure requirements. Going-private transactions are extremely rare, because the typical Colombian target portfolio company is not listed on the stock exchange. In any case, under Colombian law the decision to sell shares of public companies lies exclusively with the shareholders, and the board of directors does not play a formal role in the process. However, in practice, access to the information required by the purchaser is made possible through the management of the company. The information that shareholders have the right to access directly, regardless of the size of their stake and whether or not they control the target, is limited to the financial statements, main accounting books and minute books, only 15 days before the annual meeting. Therefore, the selling shareholders must persuade (or otherwise prevail over) management to make the information available to the bidder. This will sometimes prompt complaints by other, non-selling shareholders, that the controlling shareholders are being afforded preferential treatment. As explained in question 6, going-private transactions imply carrying out a public tender offer addressed to all shareholders that either voted against the delisting or did not attend the shareholders’ meeting where the delisting was approved. Public tender offers are subject to special disclosure rules. The timing aspects of a typical acquisition also apply to private equity transaction and usually consist of antitrust clearance and, if the target is a public company, a mandatory public tender offer. turnover or total assets of the parties from the previous fiscal year, individually or combined, exceed the annual thresholds established by the Superintendency of Industry and Commerce (SIC), the competition authority. For operations undertaken in 2019, the thresholds are set at the peso equivalent of 60,000 minimum monthly wages (in Colombia the minimum wage is often used as an index, in order to maintain thresholds), so for antitrust clearance purposes the applicable monthly wage is 828,116 pesos and the peso threshold figure would be around 49,686 billion pesos. When the combined market share is below 20 per cent, the parties can apply for an abbreviated notification procedure. In this case, the transaction is deemed as authorised on filing of a mere notification to the SIC by the parties. If the percentage exceeds 20 per cent, the transaction must be expressly cleared by the SIC. The time frame for clearance depends on the complexity of the competition issues triggered by the transaction, but on average can take from three to six months. the shareholders of the relevant listed company decide to delist the company by a majority shareholder vote (as opposed to a unanimous shareholder vote). other information requested by the SFC. the bidder must establish a performance guarantee, covering a certain percentage of the value of the transaction. The guarantee can be in the form of a stand-by letter of credit or a bank guarantee, among other options, and must be established before the public tender offer is launched. delivery of target shares by selling shareholders and payment by purchaser: 38 days from the date of submission. Under Colombian law, the decision to sell shares of public companies lies exclusively with the shareholders; it does not contemplate mechanisms where a purchaser, or the management or the board of the target company can compel dissenting shareholders to sell their shares. public tender offer: although the decision to delist a company’s shares simply requires a majority shareholder vote, the shareholders voting in favour of the delisting must carry out a public tender offer addressed to all shareholders that either voted against the delisting or did not attend the shareholders’ meeting where the delisting was approved. The public tender offer must be carried out within three months of the shareholders’ meeting. The delisting only becomes effective after the public tender offer is completed. Purchase agreements for private equity transactions are usually very similar to purchase agreements for traditional acquisition transactions. However, some differences can be seen when a private equity buyer or seller is involved. When the transaction involves a private equity buyer, the private equity buyer will be more aggressive than a typical strategic buyer in seeking that the seller’s liability not be limited by the buyer’s due diligence or disclosure by the seller. Thus, ‘pro-sandbagging’ clauses are not unheard of. A private equity buyer will also sometimes seek to subject completion of the transaction to the availability of financing, but in recent deals this has usually been rejected. When the transaction involves a private equity seller the scope of representations and warranties is usually more limited than in agreements for traditional acquisition transactions, in matters such as the time span covered by the representations and warranties, the actual knowledge of the sellers and the survival of the representations and warranties after completion. Private equity sellers will also seek to limit indemnity obligations to amounts held in escrow (although this is becoming the market practice for all acquisition transactions). Purchase agreements relating to listed companies are special, because the transfer of shares can only take place pursuant to a public tender offer through the stock exchange. In these agreements the prospective buyer’s obligation is to launch a public tender offer on the pre-agreed terms and conditions, and the other party’s (the selling shareholder’s) obligation is to accept the public tender offer, if it meets the pre-agreed terms. While managers or directors remain employed by the target company, they must maintain their fiduciary duties with the company. Colombian law imposes obligations on ‘administrators’, including managers and directors, to act in good faith, not to misuse their position to advantage themselves or improperly use information of the company for their own gain. During negotiations, administrators who find themselves with a conflict of interest must not participate in such decisions. Administrators have joint and several liability for the damage suffered by the company, shareholders or third parties as a result of their negligence and wilful misconduct, except where they had no know­ledge of the act or omission, or voted against it and did not carry out such act. Any attempt to limit or exonerate administrators from such liability in the by-laws is null and void. Therefore, administrators will need to analyse cases in which there may be a conflict of interest carefully and, when necessary, declare themselves disabled. Private equity transactions in Colombia should be carefully analysed so as to benefit from any tax advantage available because of the type of asset, the situation of the company or the nationality of the parties. Colombia has double taxation treaties under the OECD guidelines in effect with Canada, Chile, the Czech Republic, India, Korea, Mexico, Portugal, Spain and Switzerland, and has signed treaties with France, Italy and the United Kingdom, which are still undergoing approval procedures. It is in the process of negotiating tax treaties with Belgium, Germany, Israel, Japan, the Netherlands, the United Arab Emirates and the United States. The Andean Community treaties (in force with Bolivia, Ecuador and Peru) also contain some double taxation provisions. Share acquisitions cannot be classified as asset acquisitions for tax purposes. This means that share deals have a different tax regime to asset deals. Although the cost of financing obtained for the acquisition of shares in Colombian companies is generally deductible, there are some limitations to the deductibility of interest. If income is derived from distributions by a Colombian company out of profits that were not taxed at the company level, then the deduction is likely to be rejected by tax authorities. Colombian income tax law does not allow the deduction of interest paid on the amount of loans granted by affiliates that, on average during the year, have exceeded a 2:1 debt to equity ratio if compared with the net tax equity of the taxpayer as of the end of the previous year. The debt will be determined as a weighted average of the borrowed amounts according to its duration in the fiscal year, under the metho­dology provided by the government. This limitation affects not only debts with foreign-related parties, but any debt that yields interest. The deductibility of interest paid abroad is also subject to the requirement that the relevant withholdings on interest are actually performed. Additionally, foreign exchange regulations should be complied with as a requirement for deductibility. Interest payments made to foreign affiliates must meet transfer-pricing regulations. As a general rule, interest paid on foreign loans is subject to a 15 per cent income tax withholding (20 per cent if the period of the loan is less than a year). Loans granted to Colombian financial institutions and certain loans related to foreign trade are subject to a zero per cent rate. Reduced withholding rates are available under double taxation treaties. Dividends paid by a Colombian company to its shareholders (either resident or non-resident) are subject to withholding tax of 7.5 per cent for dividends paid to non-resident individuals and entities out of profits taxed at the corporate level, and 33 per cent for dividends paid out of profits not taxed at the corporate level, plus an additional 7.5 per cent on the distributed dividend net of the 33 per cent initial tax. The 33 per cent rate will be reduced by 1 per cent each year to 30 per cent by 2022 and later. The transfer of shares in a corporation or a simplified stock company (the most common corporate structures in Colombia), is not subject to stamp or other transfer taxes. The transfer of shares in limited liability companies is subject to a registration tax of 0.7 per cent. Indirect sales of shares in Colombian companies are taxed as direct sales in Colombia as of 1 January 2019. Offshore holding vehicles will be chosen on the basis of several considerations, including the Colombian double taxation treaty network. 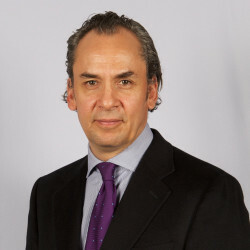 Assuming the disposal is structured as a direct sale of shares of the Colombian portfolio company, the profits derived from the sale of the shares will be taxed at a rate of 10 per cent if the seller has held the shares for a minimum of two years, or at a rate of 33 per cent if the seller has held them for less than two years (the 33 per cent rate will be reduced by 1 per cent each year to 30 per cent by 2022 and later). The sale of shares of a listed company will not be taxed if the shares sold by the relevant shareholder within the relevant fiscal year represent less than 10 per cent of the issued and outstanding shares of the company. Buyouts by private equity buyers are typically financed with debt. Debt financing will depend on the transaction and market conditions at the time. In principle, Colombian residents are allowed to freely obtain loans (domestic or foreign) to finance acquisitions. Acquisition financing is usually obtained at the acquisition company level and then pushed down to the target by way of merger between the acquisition vehicle and the target. Security is typically by way of a pledge of the target’s shares, a guarantee by the target and a fixed and floating charge over the assets of the target. Putting this security package in place can be a challenge because security granted by the target can usually be put in place only after the acquisition closes, which means that the lender may be relatively unsecured for a brief moment (between disbursement of the loan and closing of the acquisition). Provisions relating to debt and equity financing are rare in Colombian private equity transactions. On occasion, when the original owners retain a partial interest in the target portfolio company, the relevant shareholders’ agreement will establish limitations on the push-down of the debt and, in general, the target’s debt to equity structure. There is no precedent in Colombia for this type of fraud in transactions involving leverage. Transactions taking place within a certain time before a seller files for bankruptcy, or is placed under mandatory liquidation, are at risk of being revoked by the government or judicial authority overseeing the bankruptcy or liquidation. Transactions taking place when the seller has already filed for bankruptcy, or is under mandatory liquidation, will require the consent of the authority overseeing the bankruptcy or the liquidator. These issues are usually handled by requiring consents from the target’s main creditors, or setting up security (trusts) for the benefit of such creditors, as prior conditions to the completion of the transaction. Shareholders’ agreements entered into in connection with private equity transactions will typically regulate the governance of the company (business plans and annual budgets, special voting thresholds, anti-dilution protection, board composition and other minority protections) and the rights and obligations of the parties with respect to their shares (lock-ups, rights of first offer or first refusal) and options (drags, tags, puts and calls). These types of provision are valid and binding between the shareholders, but some of them may not be as regards the target portfolio company unless validly incorporated into the company’s by-laws. frustrate the possibility of holding shareholder meetings outside the legal domicile of the company. See question 5 regarding the situations in which public tender offers become mandatory. The limitations on the ability of a private equity firm to sell its stake in a portfolio company are usually of a commercial or business nature, and rarely of a legal nature. While many private equity transactions include the possibility of an IPO, and some shareholders’ agreements even regulate the terms and conditions of an eventual future IPO in significant detail, IPOs remain extremely rare as an actual exit strategy. This is probably attributable to the relative immaturity of the Colombian securities markets. When the transaction involves a private equity seller, the scope of representations and warranties is usually more limited than in agreements for traditional acquisition transactions, in matters such as the time span covered by the representations and warranties (sellers will attempt to limit this to the period they controlled the target), actual knowledge of the sellers and the survival of the representations and warranties after completion. Escrows are now commonplace and private equity sellers will also seek to limit indemnity obligations to amounts held in escrow. This does not change if a private equity firm sells a portfolio company to another private equity firm (although negotiations are usually tougher). IPOs or portfolio companies are rare in Colombia. Most of the stipulations that are typically found in a shareholders’ agreement relating to a private company could survive an IPO, but the enforceability of such an agreement regarding the portfolio company is likely to be reduced as many of these provisions will not be capable of being validly incorporated into the company’s by-laws. Going-private transactions are extremely rare, because the typical Colombian target portfolio company is not listed on the stock exchange. Targets in private equity transactions are typically family-owned, informally managed and with limited access to financing. Private equity firms invest in these targets with the objective of turning them around, by both providing capital for growth and instilling best mana­gement and governance practices. Private equity transactions in Colombia have not focused on any particular industry, although in the past year we have seen an increase in transactions involving infrastructure, construction and real estate (including hotels and tourism). a minority stake in Amarilo (a construction company) by PSP Investments. Foreign investments are permitted in all areas of the economy with the exception of activities related to defence and national security, and the processing and disposal of toxic, dangerous or radioactive waste not generated in the country. A Colombian company can be 100 per cent foreign-owned, except for foreign investment in national broadcast tele­vision, which is limited to a maximum of 40 per cent ownership of the relevant operator. Under the Colombian Constitution and foreign investment regulations, foreign investment in Colombia shall receive the same treatment as an investment made by Colombian nationals. The conditions for reimbursement of foreign investment and remittance of profits in effect at the time the investment is registered may not be changed so as to affect foreign investment adversely, except on a temporary basis when the international reserves are lower than the value of three months of imports. Foreign investments in Colombia do not require prior government approval. They must be registered with the Central Bank either automatically upon the receipt of currency in the country or by filing the relevant documents within the applicable term with the Central Bank. Registration of foreign investment guarantees the foreign investor access to the foreign exchange market to purchase convertible currency to remit dividends and repatriate the investment. The failure to report or register could result in the imposition of fines by pertinent agencies and could imply that the investor would have to rely on the free market for access to convertible currency. The registration of foreign investment must be annually updated with the Central Bank. Colombia has exchange controls, but these are relatively benign. All other foreign currency operations may be made through the exchange market or the free market. In general, Colombian regulations do not allow for the set-off of the payment obligations resulting from these transactions. Unless the law specifically permits otherwise, the general rule is that payments between Colombian companies or individuals must be made in Colombian pesos, or through compensation accounts. Club and group deals are not uncommon in Colombia. Apart from the usual governance issues (business plans and annual budgets, special voting thresholds, anti-dilution protection, board composition and other minority protections), the issue that is probably given the most consideration is liquidity and the priority in the event of a disposal. While private equity firms are usually willing to have the same priority upon exit with other private equity firms, they will usually want to dispose of their entire holdings before the strategic partner is entitled to exit. The factors that usually provide some uncertainty to closing for private equity deals in Colombia are usually antitrust clearance, public tender offers and third-party consents. While private equity buyers will also sometimes seek to subject completion of the transaction to the availability of financing, the instances in which this is actually accepted by a seller are very few. Penalty clauses are sometimes used to discourage the parties from failing to use their reasonable efforts towards satisfying conditions precedent, but will apply only when the relevant party has clearly breached a pre-closing covenant (such as applying for antitrust clearance or launching a public tender offer). Termination payments (ie, giving the parties the option to walk away from a deal if they so choose, by paying a fee to the other party) are rare. Clauses giving a prospective buyer the right to recover expenses incurred, in the event a deal fails owing to third-party interference, have been used in transactions requiring public tender offers. The Colombian government issued Decree 1984/2018 that provides regulation for private equity funds independent from other close-end or open-end portfolio investments. The new regulation makes clear the path for investments through debt (previously only open for investments in P3s) as well as the path for bond issuances by funds.